Home / All Posts / Uncategorized / Should We Have Alimony In Indiana? Although alimony is not currently available as an option to couples getting divorced in Indiana, per se, there is a growing consensus that maybe it should. The current rules for property division in a divorce goes back to 1973 when the Indiana General Assembly decided that property division should take one of two forms. Either a division of property or maintenance (sometimes also known as alimony). However, the rules make it very difficult for someone going through a divorce to get maintenance. In fact, you essentially have to either be disabled, or be the caregiver of a disabled child born of the marriage to qualify for maintenance in most situations. Our current system presumes that if we simply divide all of the marital assets evenly that there should be no need for alimony. The problem with this idea is that in some cases when a couple gets divorced, you will have one spouse who earns a lot on a monthly basis, but with no assets of the marriage. This leaves the other spouse with little or nothing in the way of assets, and no way of earning what they need to survive. Another issue with our current system is the fairness in dividing assets evenly. Our current system is what we call a “One Pot” system, where we put all of the couple’s assets and debts into one pot and then split it in half. Of course it is more complicated than that, but in essence that is how it works. Problems can arise when you have one spouse who either had a lot of assets before the marriage or inherited a large amount during the marriage. Our laws do allow for some things like inheritance to sometimes not be counted as a marital asset, but it is not guaranteed. When you have these types of assets, is it fair for the other spouse to automatically get half? Indiana Senate Resolution 32 has called for a committee to be appointed to study the topic of spousal and educational support. The results of this study will help determine the tone of the discussion of whether we should allow alimony as an option to the courts in a divorce. Although there clearly are some issues with our current system, what would be a reasonable solution? On the one hand we could keep our current system as it is. This would allow us to keep the division of property in a divorce as a fairly simple and straight forward process, but it doesn’t address the issue of dealing with divorces with few to no assets. Our current system does allow for a fairly streamlined process which should end up requiring less time in court and less legal fees in most situations. On the other hand, we could add alimony to our system, but then we would have to look at how we divide marital assets to make it more balanced based on the type of asset and when it was acquired. 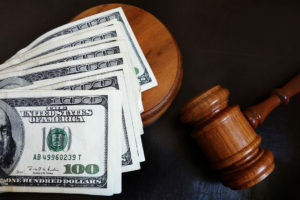 Some states like Florida have five different types of alimony, and require you to assess all of the couple’s assets to determine if they should be considered marital or non-marital in nature. This would make property division much more complicated and would require more time in court to argue the merits of your side, which in our current backlog of family law cases could just make things worse. We could also allow for alimony in some situations and not allow it in others. Again, this would require more time in court arguing the merits of both sides, and ultimately we would be forcing our judges to decide who deserved alimony and who didn’t. There is no clear answer, and it is likely that we will never have a system that fits every situation. Although there are unquestionably situations where alimony is appropriate and needed, but a complete re-haul of our system will be costly and time consuming for everyone.